Want to win 50.000 euro in prize money? Sign up your team for DroneClash 2019. We have a supersale action for early birds, see below for details. 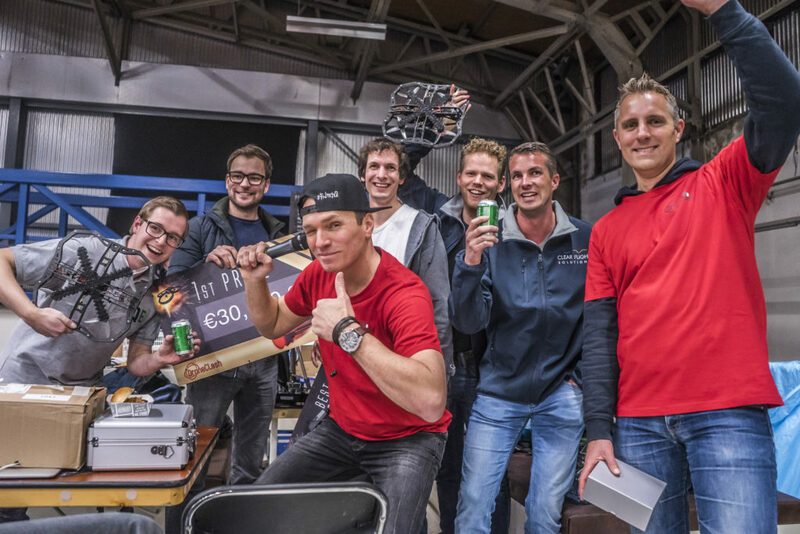 The next DroneClash will be held on 16 march 2019, again at former airbase Valkenburg in Katwijk Netherlands. Six teams have already registered for the second edition of the world’s best counter drone competition. More information about the competition, this edition’s rules, and how teams can participate can be found here. It is the next-level FPV competition, a 3D robowars. Teams will battle against each other like a real-life video game. Each team is allowed to use as many drones as they like, but they should bring at least one Fighter drone and one Queen drone. The main idea is simple: knock out the rival Queens. How? That’s up to the teams! Teams who wish to take part in the competition are invited to register here before 3 january 2019. Supersale: If you subscribe your team before 14-12-2018 you get your money back after participation. The subscription costs are €150,- per team. This is to make sure teams are serious about subscribing.